Mary Elizabeth was known as "Elizabeth" or "Betsie." Mrs. D. W. (Ira Gay) Deam of Gay, GA preserved a record of Elizabeth's birth from the John Culpepper Bible and Mrs. D. W. (Lavyn Wright) Sisco copied the record: _________________________Elizabeth Culpepper _________________________b. July 31 1811 _________________________On Wednesday 7 o'clock A. M.
Dean family records give the date of Elizabeth's birth as 31 Jul 1807 however, the 1850 census listed her age as 40 and the 1860 census listed her age as 50 which would give more weight to the Bible record of her birth in 1811. The 1850 census mistakenly lists Elizabeth's place of birth as Georgia, but this was corrected to South Carolina in the 1860 census. This corresponds with the birth locations for the other Culpepper children. Based on the location of Elizabeth's parents in the 1810 census, she was probably born in Richland District, SC. In the 1880 census of Clay Co., AL the widow, Mary E. Dean, gave her age as as 69 years which would indicate that she believed herself to have been born in 1811. She gave the place of birth for herself and her parents as South Carolina. Soon after Mary Elizabeth's birth, the John Culpepper family would have moved to Edgefield District, SC and this is where she would have spent her childhood. Unfortunately the John Culpepper family has not been found in 1820 census records of South Carolina or Georgia, but they are presumed to have been living in Edgefield District, SC. In 1823 or 1824 Mary Elizabeth would probably have moved with her parents to Georgia and this is where she married John Wesley Dean in 1827 in Monroe County. The family apparently moved on to Talbot Co., GA then to Randolph Co., AL and finally Clay Co., AL. Mary Elizabeth and John Wesley Dean are known to have had twelve children. But Dean records give her date of death as 30 May 1883. This discrepancy has not yet been resolved although it is possible, as was common, that her age at death was recorded in years months and days and since the Culpepper's and the Dean's were using a different birth date to start calculations they reached different results and the differences were exacerbated through the years. Elizabeth Culpepper and Wisty (Wesley) Dean on 4 Feb 1827 in Monroe Co., GA.
Joseph John Francis Dean 1m <5. 1840 Census* � John was listed as the head of a family on the 1840 Census at Talbot Co., Georgia. According to Walter Conrad Dean, John Dean was also a Mason: The records of Miltown Lodge #149 A.F.& A.M. give two initiations of J. W. Dean: E.A. March 4th F.C. April 1st M.M. April 15th 1852 E.A. February 19th F.C. April 15th M.M. June 17th 1852 Demited June 15th 1854 was a charter member of Putman Lodge #212 June 23rd 1854 in Randolph County, Alabama. This Lodge was organized and was held for a long time in one room of his home. John W. DEAN 74 GA (b. abt 1806) Farmer. Married. Father born in NC. Mother born in GA.
died in July of diabetes. Lived in the county 10 years. Joseph John Francis Dean 1m 10-15. E-mail written Jul 2004 to Mary Jo Powell from Freddie Dean, e-mail address. Wills for John Dean and Mary A. Dean, 1887, can be found in Box 5, Files #5 and 6, in the Thomaston Archives/ Upson Co. Wills/ Loose". This photo was found by Leonard Hoyt Kirk (1907-1998) in the abandoned home of his grandparents, John W. Kirk and Florilla Culpepper. Capos Conley 'Chip' Culpepper III of Little Rock now has the original, in its original frame. Biography* � William Henry Culpepper was the tenth child and eighth son of John and Nancy (Gillespie) Culpepper. His parents had been noted in Richland District, SC in the 1810 census but, during the Civil War on a 21 Oct 1864 muster roll for the Home Guard, Rev. 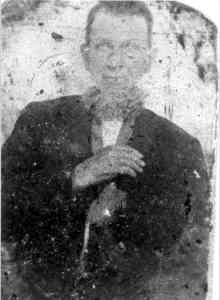 Culpepper was listed as Born S.C. Age 51 Farmer, Edgefield Co. S.C. This information was apparently supplied by Rev. Culpepper and appears to indicate that he was born in what was then Edgefield District, SC. It is possible that the family had moved on to Edgefield District by 1813. There is an 1814 record of Rev. Culpepper's father, John Culpepper, receiving a state grant of 138 acres on Cuffeetown Creek in Edgefield District, SC. When my grandfather, my mother's father, William Culpepper, was a boy... he used to tell how the panthers would scream in the swamps when he and his brothers were climbing trees to get and eat the scupenon 10 and other vines that bore fruit. Unfortunately, William Henry Culpepper's father has not been found in the 1820 census of South Carolina or Georgia so it is not known if the family remained in Edgefield District, SC until moving on to Georgia. The family is presumed to have been living somewhere in the district during this time because, although no record of sale has been found for the land which was granted to William Henry's father, in Feb 1823, John Culpepper sold another 144 acres "where I now live" on Cuffeetown Creek for $800. It was after this that the nine year old William Henry Culpepper presumably accompanied his parents when they moved to Georgia. 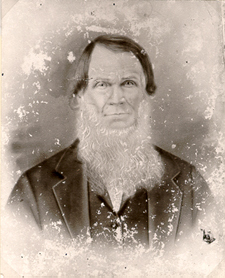 Since William Henry Culpepper's father's name was noted on a list of people for whom mail was being held at the Milledgeville Post Office in Baldwin Co., GA on Oct. 1, 1824, the family is believed to have been staying with or near the young family of Daniel Culpepper, one of William Henry Culpepper's older brother. After Daniel's death in October of 1825, William Henry Culpepper probably moved with his parents and the extended family to Monroe Co., GA where William Henry Culpepper's father, John Culpepper, appears in land records in 1827 purchasing land in the Twelfth District for $800. William Henry Culpepper would have been 16 years old when the 1830 census was taken. His father, John Culpepper, was listed in Monroe Co., GA, with his wife and one son, 10-15 years old, still living at home, presumably William Henry Culpepper's younger brother, Lewis Peek Culpepper. It is possible that William Henry was living in Upson Co., GA by 1830 with family of his older brother, John Jefferson Culpepper. There is a male, age 15-20, in the John Jefferson Culpepper household in the 1830 Upson Co., GA census who has not been accounted for and William Henry Culpepper was apparently living in Upson Co., GA by 1831 since this is where he married his first wife, Sarah Leslie. Based on the probable birth locations of their children, William Henry and Sarah (Leslie) Culpepper apparently remained in Upson Co., GA until after the birth of their fourth child, John Malcolm Culpepper. Civil War records for William Henry and Sarah (Leslie) Culpepper's first child, Elias Daniel, do not preserve his place of birth but family records for the second child, Mary Bathsheba, and Civil War records for the third child, Francis Marion, give Upson Co., GA as the place of birth. There are two sources of information about the place of birth of the fourth child, John Malcolm Culpepper: Masonic records and an obituary. According to Masonic records 11, presumably based on information supplied by John Malcolm Culpepper, his place of birth was Crawford Co., GA. In his obituary, John Malcolm Culpepper's place of birth was given as "Upton County, Ga." presumably Upson Co., GA. If the William Henry Culpepper family was if fact in Crawford Co., GA at the time of John Malcolm's birth, it would suggest that the family was already in the process of joining up with William Henry's parents in preparation for the extended family's move to Meriwether Co., GA. In any event, it seems likely that not long after John Malcolm's birth in 1835, William Henry and Sarah (Leslie) Culpepper and their young family along with William Henry's parents, John and Nancy, and his brother, Lewis Peek Culpepper, joined George Washington and Perlina (Perdue) Culpepper and their family in Meriwether Co., GA. In 1838, William Henry Culpepper and his father, John Culpepper, show up in the Meriwether Co., GA deed records 12 in District 8 which is the area around Greenville. John William Culpepper, a George Washington Culpepper descendant, obtained copies of the deeds and F-233 shows that on 6 March 1838 Levi Adams sold land lot #256, in the 8th District, of Meriwether County, Georgia, containing 202 1/2 acres, to George Washington and William Henry Culpepper for $450.00. John William Culpepper wrote: 13 [Land lots 255 and 256 which were sold to John, George Washington and William Henry Culpepper in the] 8th District are located approximately 2 to 3 miles northwest of Greenville, about one mile east off of Georgia Route 100 on the Jarrell road. 255 crosses Jarrell Road. An article in the 21 Apr 1905 Meriwether Vindicator noted that the families "settled on adjacent farms a few miles northwest of Greenville near the old Ector mill (now Maffetts's)." The article then noted that William Henry's father, John Culpepper, had settled "on what is now known as the Willis Jarrell place near town." But in 1839, George Washington Culpepper began purchasing land near what is now the community of Lone Oak, GA northwest of the farms of his father and brother and he had apparently moved his family there by the time of the 1840 census of Meriwether Co., GA, since John and Nancy (Gillespie) Culpepper were noted living next door to William Henry Culpepper and his young family but the George Washington Culpepper family was noted separately. In 1842, William Henry and his brother, George Washington Culpepper, are noted deeding land 14 in the 8th District of Meriwether Co., GA to their father, John Culpepper and George Washington Culpepper in turn purchased more land 15 near Lone Oak. But William Henry Culpepper and his young family apparently remained on the land now owned by John Culpepper near Greenville, GA. The 21 Apr 1905 Greenville, Meriwether Co., GA Vindicator then records that "after residing here some years he [John Culpepper, William Henry's father] disposed of his farm reinvesting in a choice plantation in Randolph county, Ala." Mrs. J. (Clara Haralson) Moorcroft wrote 16 that her grandparents had moved to Alabama when her mother, Sarah Jane Culpepper "was six years old...." Sarah was born 17 Jan 1844 so she would have been six years old on 17 Jan 1850. However, based on the birth locations of their last two children noted in Bible and census records, William Henry and Sarah (Leslie) Culpepper probably moved their family to Randolph Co., AL after September of 1846 and before January of 1849. The youngest child, Florela Caroline, who was born 22 Jan 1849, was consistently recorded in census records as having been born in Alabama. Land records narrow the window even more. In January of 1848, William Henry's father, John Culpepper, sold the farms northwest of Greenville, GA to Jacob Moon. 17 William Henry Culpepper is noted in Randolph Co., AL land records in August of 1848. 18 Mrs. J. (Clara Haralson) Moorcroft also wrote 16 that when her grandparents moved to Alabama, John Culpepper was already a widower. William Henry Culpepper's mother, Nancy (Gillespie) Culpepper died 25 Jul 1848. Circumstantial evidence 19 suggests that the family was already in Alabama when she died, unfortunately, there is no record of the location of Nancy's grave so there is no proof. 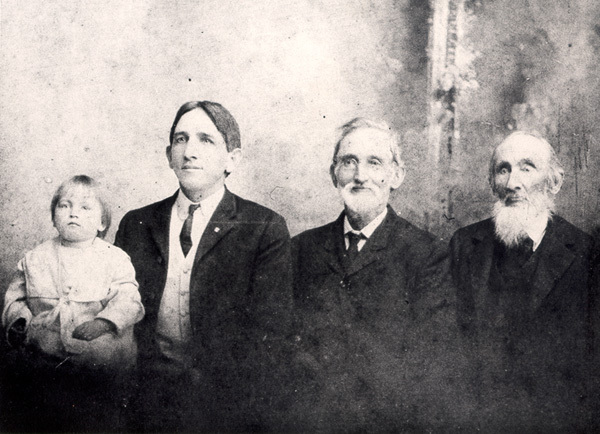 The family was apparently in Alabama in time for William Henry and Sarah (Leslie) Culpepper's oldest son, Elias Daniel Culpepper, to join the Clegg family which moved from Alabama to Arkansas in 1848. In any event, the extended family was apparently in Randolph Co., AL at least by August of 1848 and probably earlier. Five months later, in January of 1849, William Henry lost Sarah, his wife of 17 years, who had just given birth to their 11th child, Florela Caroline Culpepper. The 37 year old widower, William Henry Culpepper, was recorded in the 1850 census of Randolph Co., AL with his younger children (except for his youngest son, Lewis Washington, who was living nearby with his grandfather, John Culpepper). According to census records, William Henry Culpepper owned real estate valued at $1,000. The land that William Henry Culpepper purchased in 1848 was west of what is now the town of Wadley, AL, about half way between the town and the Pleasant Hill Church. Although people had begun settling in the Wadley area in the 1830's, the town did not come into existence until 1906.20 When William Henry Culpepper moved to the area, the business center was across the Tallapoosa River in Louina which had started out as an Indian trading post and was on the old stage coach line from Wedowee to Dadeville.20 Before the Civil War, this was a prosperous area responsible for one-third of the taxes paid in the county. 21 Lebanon Land office records 22 also show that William Henry Culpepper purchased an additional 40 acres of land in the northwest part of the southwest division of Section 11 in Township 20 South, Range 10 East on September 1, 1849. This land is north of what is now Wadley, AL, and south of the Tallapoosa as it curves west after passing under the John W. Overton Bridge on Highway 48. In January of 1851, William Henry Culpepper married Catherine Alexander. The marriage was recorded in Coweta Co., GA so William Henry must have had some contact there, possibly with Nancy (Corley) Culpepper, the widow of his oldest brother, Joel Culpepper. 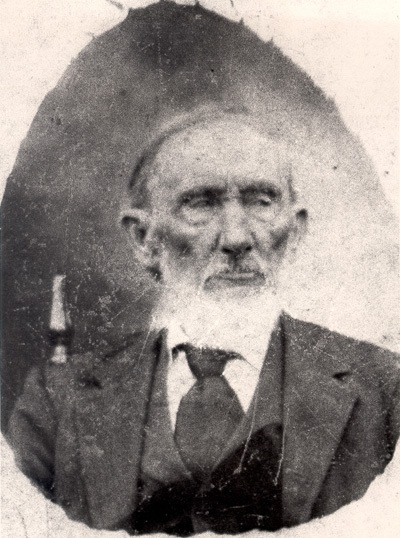 William Henry Culpepper was 47 years old when the Civil War began and he watched his sons leave for war. In June of 1864, 17 year old boys and 45 to 50 year old men were called to serve in the Confederate Army 25 and William Henry Culpepper joined the Home Guard. He served as a 4th corporal in Captain A. P. Hunter's Company, Mounted Infantry, Randolph County Militia, for Falkner's Battalion. On a 21 Oct 1864 muster roll William Henry Culpepper was described as having "blue eyes, grey hair, fair complexion, five feet, ten inches tall." William H. Culpepper has been a Local Preacher for thirty years in the Methodist Episcopal Church. Unfortunately, the entry was not dated. One wonders however if the record was made in conjunction with the marriage of L. M. Perry to Ada Flippin in January of 1896. If so, Rev. William Henry Culpepper might have taken up preaching after the Civil War. And "Rev. W. H. Culpepper" was noted as a Methodist minister in the Almond P. O. district of Randolph Co., AL in the 1887 - 1888 Alabama State Gazetteer & Business Directory.26 Almond, to the west of Louina, was described as having a post office and a population of 50 at the time. In 1872, Rev. William Henry Culpepper also served as a County Commissioner of Randolph County, AL along with W. H. Osborn, W. D. Louvorn, and I. N. Brown. In the 1880 census, Rev. Culpepper was listed as a farmer living at Flatrock Beat #8 near Louina, Randolph Co., AL. His second wife, Catherine, and his widowed daughter, Melvina (Culpepper) Elliott, were also living with him. Catherine, Rev. 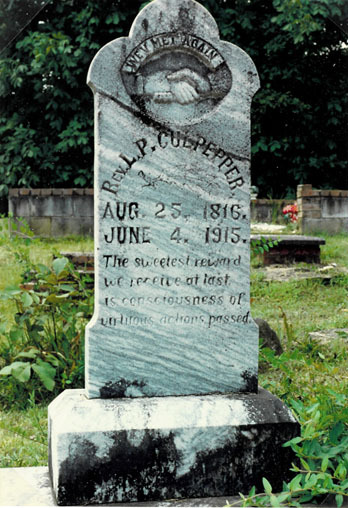 Culpepper's wife of 29 years died in June of 1880. Rev. Culpepper was 66 years old. He was married a third time, to Mary F. P. Falkenburough. Rev. William Henry Culpepper was listed with his third wife, Mary, in the 1900 census of Flatrock District, near Louina, Randolph Co., AL. He died in 1909. He was 95 years old. His death was not recorded in the Family Bible. In Memory of Bro William H CULPEPPER, Almond Lodge, No 523 A F & A M.
Whereas, God in His infinite wisdom, has seen fit to remove Bro William H CULPEPPER from the walks of men to transplant him in the kingdom above, the Masonic Fraternity has suffered a great loss. Bro CULPEPPER was our oldest and most loyal member until extreme age prevented. He was born Oct 17th, 1813; died March 22nd, 1909. He was made a Mason at Milltown Lodge in 1853. As a Minister of the Gospel and a true christian [sic] worker, the church has lost a noble life. No better, noble life has this Lodge ever possessed. Resolved, that while we deeply mourn our loss, we humbly bow to the will of God which was accomplished in this life and death. We will ever cherish in our hearts the memory of this good man and imitate his virtues in our lives. The following pages are from a Bible taken to the H. Grady Bradshaw Chambers County (Alabama) Library and Cobb Memorial Archives by an unidentified individual who purchased the Bible at an area yard sale. This person took the Bible and its attendant family records to the Archive in hopes of identifying relatives of those persons named in the Bible. The Bible appears to have been owned originally by Miss Emma Carlisle, and handed down in her family. The Bible records were photocopied by the Archivist, Mrs. Miriam Syler, who provided copies of those original copies to C.C. Culpepper who, in turn, transcribed the following pages on February 22, 2003. Every effort was made to be true to the original spellings and punctuation found in the Bible records. Those rare cases where the transcriber could not clearly make out legible words or letters, and any commentary from the transcriber are clearly identified by use of parenthesis surrounding any information not contained in the original copies. Transcribed pages contain the same information as the original page, and every effort has been made to capture the information as it appeared in the original document. This is the 6th day of Nov. 1902.
and oh how lonely every thing looks. Nobody to come or rather nobody cout come. W. H. Culpepper was born Oct the 17th 1813. Sarah his wife was born Feb 15th 1808. Cathern his wife was born Nov 5th 1811. Mary his wife was born June 8th 1842. Children of W. H. Culpepper..
Elias . D. Culpepper was born Jan. 31st 1832. Mary . B. Culpepper was born March 17th 1833. Francis . M. Culpepper was born March 7th 1834. John . M. Culpepper was born Nov 13th 1835. Ann . M. Culpepper was born April 28th 1837. William . A. Culpepper was born Oct 10th 1839. Ella Elliott died Jan 22nd 1900. Married in Upson Co. GA by Charles Hardy, E. M. E. C.
William H. Culpepper and Sarah Lester on 27 Mar 1831 in Upson Co., GA.
No. 429 William H. Culpepper To Mary Falkenborough on October 25, 1880 by John B. Miller, Minister, at the residence of W.W. Falkenborough. Bond:William H. Culpepper and L.G.Dean. To Mary F. Falkenburogh Oct 25 1880.
p. 23, No. 236 by Rev. W. H. Culpepper, witness B. O. Harris. Certificate or Warrant 10628 for 39 acres and 64 rods in the southwest part of the northeast division of Section 10 in Township 22 South, Range 10 East to "William H. Culpepper" A photocopy of a page from a register of land sold by township and section records the date of sale as August 10, 1848. Computerized land office records list the "SIGN_DATE" as "1850/03/01"
Margaret Bee (TBYF88A) Prodigy message 5 Sep 1994 subject: "Leslie, NC, GA, TX"
Catherine is presumed to be buried in one of the graves covered with a slab near the grave of Rev. William Henry Culpepper. Brosher Elliott grandson 22 AL. Norma Kirk Willis records, Norma Kirk Willis to Lew Griffin. From back of photo: "My daddy Daniel Patterson Kirk's maternal grandmother Culpepper. Picture made on her 100th birthday. (sic) Date made unknown - Birthdate unknown -- Death unknown. My great grandmother -- Norma Kirk Willis." Although Mrs. W. H. (Mary F. Falkenborrough) Culpepper is supposed to have been buried in the Wadley City Cemetery, no record has been found. This photo was provided by Essie May Bryant (Mrs. Enoch Melvin Moore), of Jonesboro, GA, in June 1979. 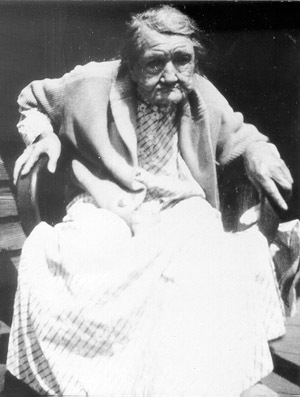 Mrs. Moore died in 1986. Her son, Enoch Michael Moore, currently unlocated, probably has the original. Photographed say 1910� He was photographed say 1910 at Randolph Co., Alabama. Biography* 12 Feb 2019� Mrs. J. W. (Ira Gay) Deam of Gay, GA preserved a copy of Lewis P. Culpepper's birth record from the John Culpepper Bible and it was transcribed by Mrs. D. W. (Lavyn Wright) Sisco: Lewis Peek Culpepper, b. August 25, 1816, On Sunday 2 o'clock P.M. The information must have been copied before 1915 since Lewis was recorded as "Living in Chambers Co."
In the early 1900's, Joseph R. Culpepper wrote to a cousin that his father, Lewis P. Culpepper, "was born in Edgefield, South Carolina and lived there until he was 7 years old." Unfortunately the family has not been found in the 1820 census although Lewis is presumed to have been living with his parents in Edgefield District, SC. Lewis' father is known to have been granted land in Edgefield District, SC before Lewis P. Culpepper was born and he is known to have sold land there in Feb 1823 when Lewis would have been six and one-half years old. Sometime after this Lewis' father, John Culpepper, moved his family to Georgia where his older sons branched out into several counties but John seems to have settled for a time in Monroe Co., GA where he first shows up in land records in 1827. Lewis Peek Culpepper, the youngest of the eleven children, would have been seven by the time his family reached Georgia and would have been living with his parents. Monroe Co., GA was a frontier county which had been opened to white settlement in 1821. As a result, Lewis had very little chance to attend school and his education was limited. However at the age of thirteen, he joined the Methodist church. Lewis was the last child to leave home and he was noted as a male 10-15 years of age living with his parents in the 1830 census of Monroe Co., GA.
By 1832, John Culpepper had apparently moved his family to Crawford Co., GA where his sons Joel and James were living and a sixteen year old Lewis was presumably still living with his parents. In the mid-1830's John and Nancy apparently moved out with son, William Henry, to Meriwether Co., GA and it is presumed that Lewis Peek Culpepper went with them. However there must have been some contact between John Culpepper and his family and Joseph Richard Culpepper, who was living in Pike Co., GA with his family since in 1839, Lewis married his cousin, Sarah Ann Culpepper, Joseph Richard Culpepper's daughter. The couple has not been found in the 1840 census but they are presumed to have been living in Pike Co., GA near Sarah's parents. 12 Jan 1844 William C. Beckham recorded a gift of 2 acres (Pike Co. Grantees, G 135, lot 72, dist 9) for a Methodist Church at Powder Springs for whom Lewis P. Culpepper was the agent. Lewis and Sarah Ann Culpepper had five children between 1840 and 1848. In the 1850 census of Pike Co., GA, Lewis P. Culpepper was listed as a millwright with land valued at $400. On p. 44 of Sesquicentennial 1822-1972 Pike County Georgia it was noted: Meansville Congregational Church was first organized as New Hope Congregational Methodist Church, in the home of a Mr. [Alfred G.?] Pace [brother-in-law], by Rev. W. H. Graham and Rev. Lewis Culpepper. The first building was erected in 1852 under the direction of Rev. Culpepper and Mr. Pace, and seats were built by Mr. John Daugherty. In 1857, Sarah Ann Culpepper died of appendicitis. That same year, according to an article written in 1915 by his daughter Maggie (Mrs. George R. Trimble): [Lewis Peek Culpepper] felt called to preach, and in 1857 he united with the Congregational Church and began preaching. He didn't preach for a salary as the ministers of today, he preached for salvation regardless of pay. He went wherever he was called to go. If he spent all the money in his purse going to a church and they didn't pay him any, he walked back home or worked for money to pay his expenses [he was a carpenter, millwright, and gin repairer by trade]. His church paid him if they wanted to and what they wanted to. He never asked for anything. In 1858, he married Margaret Joyce Bateman, Mrs. Trimble continued: [Lewis Peek Culpepper] moved from Georgia to [near Louina (Wesobulga P.O. ), now called Wadley, Randolph Co.] Alabama about 1859 [after the birth of Francis Daniel in Oct of 1859 but before the 1860 census in Sep 1860]. The trip was made in an open wagon and required several days. He resided in several counties but the greater part was spent in Clay and Chambers counties. During the Civil War he did not go to battle but bore his part at home. He was a true friend to the widows and orphans and those made poor by the war. Of course, his sympathies were with the South, but if a Yankee soldier came to his door he was never turned away hungry. He helped wherever he could. One relative recalled that Lewis had once gotten angry and thrown his shoe across the room. I mentioned this to a granddaughter, Mrs. Joseph H. (Margaret Phillips) Dodd, and she replied (12 Apr 1979): I can't remember Grandfather showing any sign of having a temper, however, when he was at our house he was so pampered he had no cause to arouse his temper. Mother [Mrs. Julia Culpepper Phillips] told this story of his anger. A group of Yankees came through on horses and when they saw Grandfather's pretty fat horses in the lot they turned their poor and weary horses in the lot and took Grandfather's horses. They also went in the house and took all the staple groceries they wanted. Grandfather said he called them every name a preacher was allowed to say. They only laughed at him and when one of the Yankees noticed his gold watch and chain, a very precious one, he just went over and took it from Grandfather. There was nothing he could do except get more angry and call them more bad names. Sometime before 1870, Lewis Peek moved his family to Lee Co, AL where 53 year old "L. P. Culpepper" born in South Carolina was noted (p. 250) with his second wife and their children in the 22 Jun 1870 census of the Opelika P. O. district of Lee Co., AL. His occupation was listed as millwright. Another granddaughter, Mrs. Earnest L. (Dennie Rutland) Bryant, of LaGrange, GA, shared her recollections in July, 1979: Grandpa Lewis Culpepper was a minister. I was told that he always walked on his church circuit, leaving mules at home to be used on the farm. He preached in several churches - I remember Ashland, Lineville, and Fredonia, Ala.... Grandpa was paid mostly with farm products. I remember once a widow gave him 25 cents and told him to buy himself some coffee. He bought the coffee and took it to the widow woman.... As a small girl, I remember him sitting in the hall of our home, reading his Bible. He did this most of his time. Ministers came to visit him and they enjoyed discussing the Bible. In the 1880 census, 63 year old "Louis Culpepper" born in South Carolina was recorded (Beat 10 ED 38-15) with his family in Clay Co., AL. His daughter, Mrs. G. R. Trimble wrote in 1915: In 1888, he was the pastor of two churches. All the members of both churches unanimously voted out the Methodist rules and united with the Congregationalist. He remained an active minister until a few years before his death. Mrs. J. H. (Margaret Phillips) Dodd wrote in a 12 Apr 1979 letter: I remember this story which is on the humorous side. For several years at one of his churches he would hold a revival in the summer. Sister Brown was a "shouter" and when she got happy she would go to her husband or one of the children and beat and pull their hair and keep shouting. The family got wise to all this and when she would start shouting Grandfather said the children would get down on their knees and make for the door. He said it was so funny that he just stood in the pulpit and laughed. Grandmother said, "Darling, you should be ashamed of yourself." He said, "Well, I couldn't help but laugh and the congregation thought I was doing the holy laugh." In 1896, Lewis P. Culpepper's second wife, Margaret Bateman, died. According to Mrs. Trimble, Lewis P. Culpepper "spent the rest of his life traveling, working, preaching, and visiting his children, and spent the greater part of his last years with his daughter Mira (Mrs. Richard R. Rutland) near Standing Rock in Chambers Co. AL." In the 1900 census (Vol. 8, ED. 1, Sheet 7, Line 50) "Lewis P. Culpepper" was living with his daughter, Elmira, and her husband, R. R. Rutland, in Chambers Co., AL. He was listed as having been born Aug 1816 in South Carolina. A 94 year old Lewis P. Culpepper born in South Carolina was noted (ED 14, Sheet 6, Pct 1, #117) in the 1910 census records at Hickory Flat, Chambers Co., AL with his daughter Elmira in the "Ricks R. Rutland" household. Lewis P. Culpepper listed both his parents as having been born in South Carolina. Mrs. J. H. (Margaret Phillips) Dodd wrote in a 26 Jul 1978 letter about Lewis P. Culpepper's visit to the Phillips farm at Bacon Level, Randolph Co., AL: Grandfather used to visit us on the farm. He would stay a month or six weeks. All of us kids enjoyed him so much because he was so jolly and gave us so much attention. We had a large shady yard and on Sunday afternoons most of the kids in the neighborhood would come there to play games. Grandfather always sat on the sideline watching and laughing with us. When we got into an argument he would call us over and give us a good moral talk on sportsmanship and we would all go happily back into the game. He had a great sense of humor. Once when he was with us my mother put him in Laura's room to sleep so he would be next to her room and she could hear him if he called her during the night. He didn't have much hair so he always slept with a nightcap on. The next A.M. Mother told J.T. to go wake Laura to help her with breakfast. J.T. was a prankster, so he took a pillow and shook the feathers down in a ball. He forgot Grandfather was in Laura's room so he bopped Grandfather on the head with all his strength, thinking it was Laura. When Grandfather's nightcap flew out in the floor he realized what he had done so he ran. When Grandfather got his breath he yelled, "Julie, Julie, come here." He always called Mother Julie. Mother ran in and Grandfather told her something hit him on the head and knocked his nightcap off. By that time Mother had figured it out and J.T. admitted doing it thinking it was Laura. Mother then explained it to Grandfather and he got a big laugh out of it. Joseph Wyeth Griffin, a great-grandson, of Leeds, AL, recalled that in old age Lewis liked to sit in a rocking chair in the general store and share his opinions with friends. Lena Amsler wrote in 29 Jun 1978 letter that her Aunt Mira (Mrs. R. R. (Elmira Culpepper) Rutland) had mentioned that once, while Lewis P. Culpepper was staying with her family, she had noticed that he was missing. When he returned, she discovered that he had walked several miles down the road to visit his even more aged brother, William. Mrs. Earnest L. (Dennie E. Rutland) Bryant noted in July, 1979: Grandpa was active until he suffered a stroke about a week before his death. He rarely used his glasses. He walked over the back farm, which was about forty acres, on the day before he became ill. He came into the house after his walk, ate a big supper, and went to bed. He suffered the stroke before morning. He lived about a week. Mrs. Margaret Culpepper Trimble wrote in 1915 that Lewis Peek Culpepper died during the morning of 4 June 1915 at the home of his daughter, Mrs. R. R. Rutland, on Stateline Road, near Standing Rock. He was buried June 5 at Stateline Church. Mrs. G. W. (Elaine DeVaughn) Mendenhall wrote in a 4 Dec 1978 letter that her mother, Mrs. J. W. (Lena Whatley) DeVaughn had visited the grave site and added "the cemetery is located near the Georgia line, traveling directly east from Roanoke, AL." "Dear Nephew, I have been thinking of writing to you for the Last twelve months after receiving one from you in reply to one I wrote to Brother. But shortly after receiving that Letter I went to Georgia to visit my Children and relatives and stade Some time [Lewis P. Culpepper must have been writing of a visit to his oldest son, Joseph R. Culpepper, who was living in Macon, GA]. and when I Came back I was sick sometime and one thing and another and the most prominent thing of all carlesness for which I offer an apoligy now - a few days ago I received a Letter from my daughter at McGregor [Martha Jane Culpepper, the wife of Samuel Amsler, of McGregor, Texas] together with a lengthey news Paper account of Brother [an article about Francis G. Culpepper appeared in the Shiner Gazette , Feb, 1898] and his family, also a Photograph of a complete Likeness of my Brother with a tolerable correct historical account with one Exception the paper Says he was born 1806, the record says 1804, but that don't amount to any thing." As an aside, according to a transcription of a record from the John Culpepper Family Bible made by Mrs. Ira Deam, Francis G. Culpepper was born 31 Jan 1804, on "Friday at 3 o'clock p.m." A perpetual calendar shows that January 31, 1804 would have been a Tuesday. Unfortunately, Mrs. Deams's daughter does not have the Bible and does not know where it is so there is no way of knowing where the error was introduced. It is possible that the Friday was an error in transcription since the birth record preceding that of Francis Gillespie was for Sarah O. Culpepper who was born February 5, 1802, On Friday 1 o'clock p.m.
Getting back to the Culpepper/Burke leter, "My sister two years older than he is Living [Sarah O. (Culpepper) Elliott was born in 1802 and in 1898 was living Louina, Randolph Co., AL]. She was ninetysix In Feb. I was at her house Last august she was then very pert but her hearing and Sight was very deficient. I saw Brother Washington Last November was a year [George Washington Culpepper (born 6 Dec 1808) lived at Lone Oak, Meriwether Co., GA where he had moved in the 1840's], he was then all right Physically but had entirely Lost his mind, he was Eighty-nine Last December. 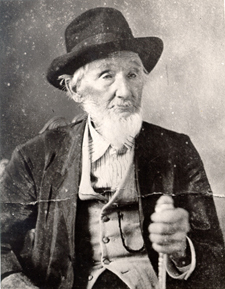 Brother William was Eighty-four Last Oct [William Henry Culpepper lived near Louina, Randolph Co. AL. ], I was Eighty-one last August. So we are a Long Life People, and I have been a steday Labourer all my Life and have never had but very Little rest all that time. And I am remarkably stout for a man of my age, my nerves are steddy as they Ever were in my Life, my Brother Williams nerves is completely shatered, can scarcely hold his saucer to drink his coffee. But I attribute that in a greate measure to smoking, he is an inveterate smoker, but that is not always the cause. My oldest son Joe is fifty eight years old never used tobacco any way, and his nerves is completely ruined. but his helth was harmed in the War, he Lookes nearley as old as I do. I ought to be thankful and proude of my Family. I have raised twelve children all to be grone, two dead now [William Washington died in Texas after graduating from medical school and Sarah Elizabeth died in Lineville, AL], but all were high toned gentlmen and Ladyes without a stain or a charge of any thing dishonerable. Well I tride to raise them Right. Well I have always believed that holsom Precepts and good Example has a wonderful influence on Posterity, and we all make ourselves just what we are, well I want to come to See you all and IIl never die satisfid unless I do come if I can get Some good responsible Person to accompany me I will come next fall or winter, if I were twenty years younger I would Live there. Well I must close this uninteresting Letter hoping to hear from you soon, let my dear grand niece to write to me I think I got one Letter from her, she writs well yours Lovingly and truly L. P. Culpepper"
In a 28 Sep 1987 letter, Mrs. A. M. (Eleanor Culpepper) Willingham wrote of visiting Lewis Peek Culpepper's grave: This is in State Line cemetery near Ga-Ala line.... This cemetery is in a church yard - State Line Church." Mrs. Charles (Margaret Whatley) Lee visited Rev. L. P. Culpepper's grave and the nearby church and wrote in a 26 Nov 1978 letter that "Lewis Peek preached at that State Line Church a long time." She added that she had visited Alsie Rutland in LaGrange, GA and he told her that "Lewis Peek was very hard of hearing." , Lewis Peek Culpepper Bible. Lewis P. Culpepper and Sarah Ann Culpepper on 12 Dec 1839 in Pike Co., GA.
p 153; date Mrs. Margaret Culpepper Trimble article 1915. 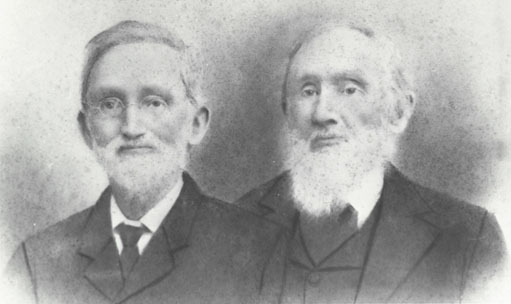 “…In 1887 Simeon McDaniel, Steven Bassett, and one or two others had come to Zachary Eddy's home (WLC Note: Eddy was then the minister of Church of the Redeemer, later renamed Central Congregational Church, which is my current church) representing a group called ‘Congregational Methodists,’ which had a number of churches in middle Georgia (McDaniel was from Barnesville and Bassett from Fort Valley). In 1854, having broken with the Methodist Episcopal Church, South, they met at Forsyth and constituted themselves as a church. Now they were looking for another congregationally organized communion to join. Eddy was ecstatic, but his pastorate ended before any merger could be accomplished. “During George Turk's brief ministry, a ‘United Congregational Conference of Georgia’ was formed, bringing together the Atlanta Congregational Union (Central and its missions) and the Congregational Methodists, but not including the black churches of the Georgia Association. At the organizational meeting, held in February 1888 at Central, Turk was elected president. So, not only is Central connected with my Pilgrim roots, it is also connected to your roots.